To get our new Old School Camo Hats, we went to a reliable source. Our Old School pattern came from an old jacket of our late founder and Legendary World Champion, James "Cowboy" Fernandez! 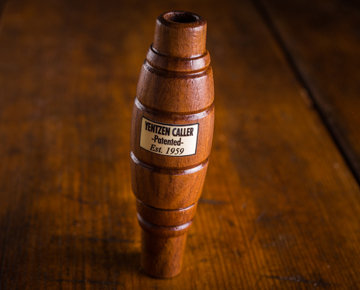 Co-inventor of the Double Reed and Triple Reed Duck Call. There's no denying that this is the original Old School Camo. Just got mine in, it came a day early. Impressed with the quality and overall look of the hat!! Will definitely order another one when this one gets worn out!